This material is polyester resin reinforced with polyester textile; whereas g10 and micarta are made with a phenolic resin. The polyester resin makes for a more stable handle material that will not crack or break and has negligible water swell. 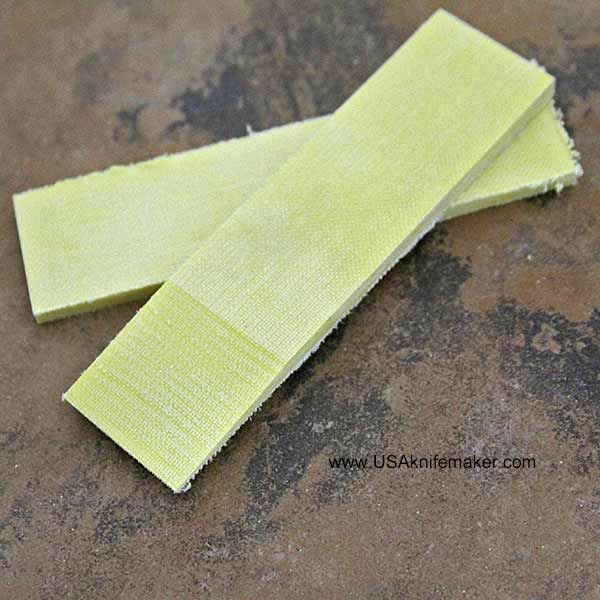 This material is best for tactical knives that require a handle with no slip. TeroTuf is non-abrasive and is easier to machine than phenolic or fiberglass materials. Coolant is not required for machining TeroTuf; machine dry. Dust mask and or work area air suction is suggested. For lathe work, carbide or diamond tipped tools can be used to generate a fine surface finish. TeroTuf™is 100% polyester resin material with no fillers. To achieve a fine finish us 3M Scotch-Brite Finishing Flap Brush Grade 5A VFN #01162.